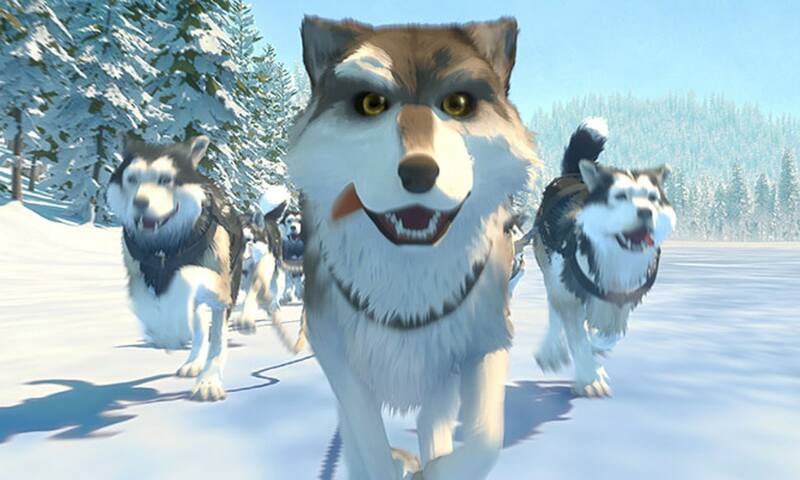 Jack London’s century old tale “White Fang” (Netflix, streaming) gets a full length animated version, with Nick offer man, Paul Giamatti and Rashida Jones lending their voices. Jerry Seinfeld has driven his little comedy show from Crackle to the world-renown Netflix for his 10th season. Among the passengers this time around in “Comedians in Cars Getting Coffee” (Netflix, streaming) are Ellen DeGeneres, Dave Chappelle, Tracy Morgan, John Mulaney, Kate McKinnon, Alec Baldwin, Hasan Minhaj and Jerry Lewis. A new season also comes for a streaming show from another figure noted for his sitcom work, Phil Rosenthal, creator of “Everybody Loves Raymond” who gallivants as a foodie in his “Somebody Feed Phil” (Netflix, streaming). A second season of episodes is also available for the “Anne of Green Gables” variant “Anne with an E” (Netflix, streaming) as well as the series about the Italian soccer club, “First Team: Juventus” (Netflix, streaming). Take a tour of prison systems across the planet with “Inside World’s Toughest Prisons” (Netflix, streaming) hosted by Paul Connolly. The Indian import “Sacred Games” (Netflix, streaming) has a gang boss team with a cop to save a city. In the Spanish “The Skin of the Wolf” (Netflix, streaming), a wolf trapper decides to get a wife. And in “Samantha!” (Netflix, streaming), a former child star tries to make a comeback. The series “12 Monkeys” (Syfy, 9 p.m.), esteemed by some and unseen by many more, ends its run. Shelby’s reunion plans puts people in peril on a new “Quantico” (ABC, 8 p.m.). Turner Classic Movies salutes Republic Pictures with “That Brennan Girl” (8 p.m.), “The Inside Story” (9:45 p.m.), “City That Never Sleeps” (11:30 p.m.) and “Trigger, Jr.” (1:15 a.m.). Then it’s time for some blaxploitation with “I’m Gonna Git You Sucka” (2:30 a.m.) and “Brothers” (4:15 a.m.). During the day, it’s all classic sci-fi with “The Green Slime” (6:15 a.m.), “Satellite in the Sky” (8 a.m.), “From the Earth to the Moon” (9:30 a.m.), “Forbidden Planet” (11:30 a.m.), “Countdown” (1:15 p.m.) and both “2001: A Space Odyssey” (3:15 p.m.) and its lesser sequel “2010” (6 p.m.). Quarterfinals come to the World Cup with France vs. Uruguay (Fox Sports 1, 10 a.m.) and Brazil vs. Belgium (Fox Sports 1, 2 p.m.). Baseball includes Cincinnati at Cubs (MLB, 2 p.m.) and Philadelphia at Pittsburgh (MLB, 7 p.m.). NASCAR has its Firecracker 250 (NBC Sports, 7:30 p.m.). The NBA summer league continues with Houston vs. Indiana (NB, 3 p.m.), Toronto vs. New Orleans (ESPNU, 3:30 p.m.), Brooklyn vs. Orlando (NBA, 5 p.m.), Oklahoma City vs. Charlotte (ESPNU, 5:30 p.m.), Milwaukee vs. Detroit (NBA, 7 p.m.), Boston vs. Philadelphia (ESPPN, 7:30 p.m.), Cleveland vs. Washington (NBA, 9 p.m.), Dallas vs. Phoenix (ESPN, 9:30 p.m.), Denver vs. Minnesota (NBA, 11 p.m.) and Clippers vs. Golden State (ESPN, 11:30 p.m.). But getting prime time spotlight is the Big 3 (Fox, 8 p.m.). The Special Olympics USA Games (ESPN2, 6 p.m.) continue. And third round play begins at Wimbledon (ESPN, 7 a.m.). Kelly Ripa and Ryan Seacrest: Eddie Ciboria, Charlie Puth. The Talk: Amy Adams, Patricia Clarkson, Ziggy Marley, Carrie Ann Inaba. Harry Connick: Heather Graham, Chris Sullivan (rerun). Steve Harvey: Boris Kodjoe, Nicole Ari Parker, Miguel (rerun). Ellen DeGeneres: Jane Fonda, Foo Fighters (rerun). Wendy Williams: Penn & Teller. The Real: Jerrika Hinton (rerun). All reruns: Stephen Colbert: Anne Hathaway, David Seders, Ahmed Bharoocha. Jimmy Kimmel: Nick Kroll, Evangeline Lilly, Ne-Yo. Jimmy Fallon: Jada Pinkett Smith, Bryce Dallas Howard, Nikki Glaser. Seth Meyers: Mike Myers, Alison Brie, Kacey Musgraves. James Corden: Mark Ruffalo, Chelsea Clinton, Mackenzie Davis. Carson Daly: Lennie Lajes, the Aces, Cameron Cuffe.